This card by @soumo103 that I found on Instagram via #mftstamps proves that the Stitched Whimsical Waves Die-namics doesn't have to be shades of blue! 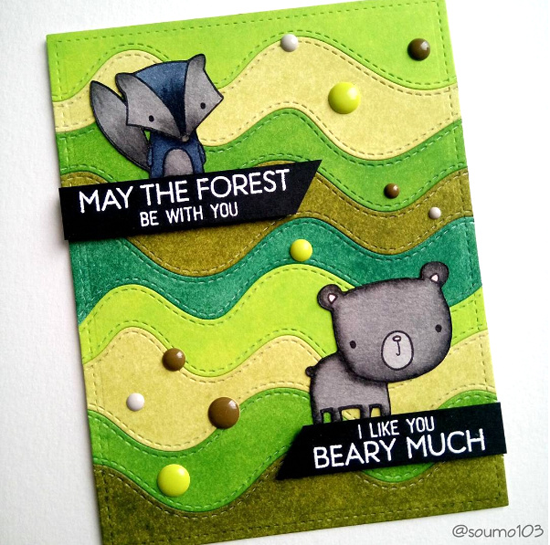 I love how she created a lush green background for the cute characters from the Forest Friends stamp set. MFT Graphics Guru Laina Lamb spotted Sonja's adorable shaker card filled with inventive and creative fun! She's melded the Hog Heaven and London Mouse stamp sets seamlessly taking our country pig to the city! So FUN! I gasped when I saw this design by Wendie. It's clean and simple perfection. 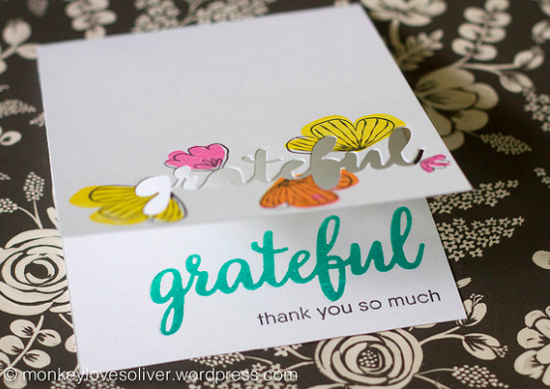 The Sketched Blooms and Grateful for You stamp sets combine for an absolutely lovely thank you card. As Wendie says, "The best thing about birthdays as a crafter? Making thank you cards!" And this one is a masterpiece. Bravo, Wendie! Creative Team Member Joy Taylor spotted Michelle's card and she says, "Michelle's card is just adorable. Her CAS style on this card is just perfection." 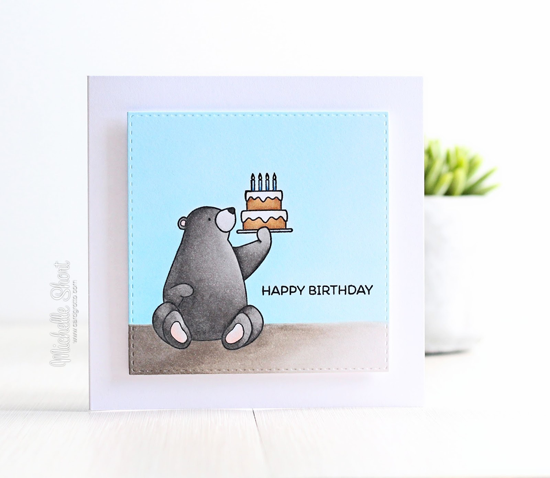 Letting our stamps shine without a lot of extras is a wonderful way to create, and Michelle's use of our Birthday Bears stamp set is simply charming. Lynn created this colorful and happy birthday card in answer to our Sketch 293. 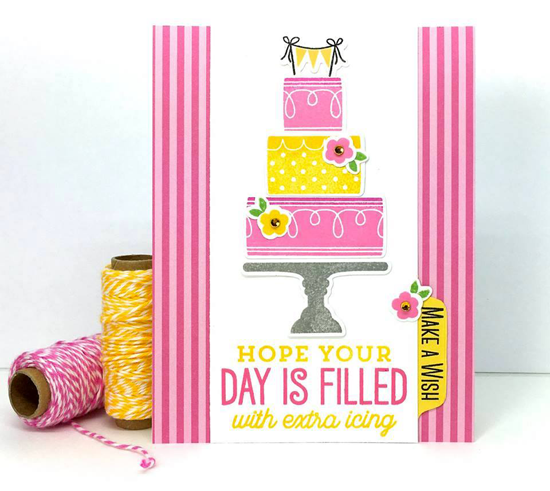 This delicious card incorporating our Celebrate with Cake and Big Birthday Sentiments stamp sets is a party waiting to happen. Thanks for using MFT, ladies! You've left us inspired, and that's what it's all about! See you tomorrow for another great Sketch Challenge, and look for the next MFT Color Challenge this Thursday, September 8th. Thank you so much for spotting my card. So honored to find it here among all these other beauties! WOW! Gorgeous and creative designs!